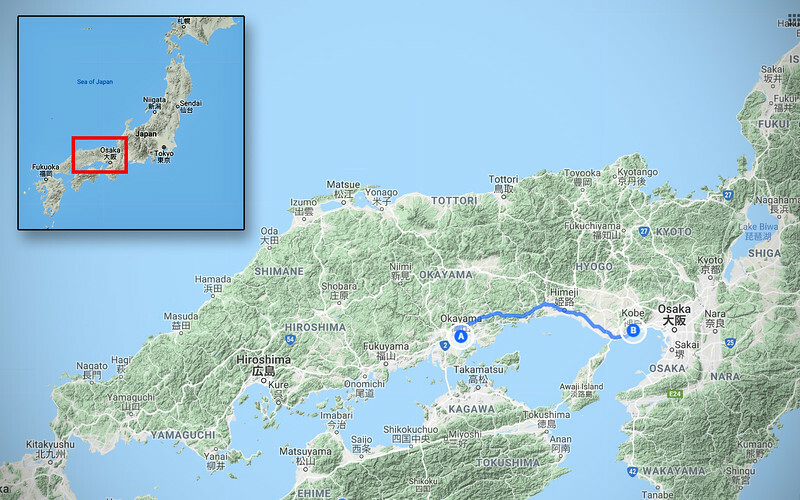 Today we're returning to the Kansai region. 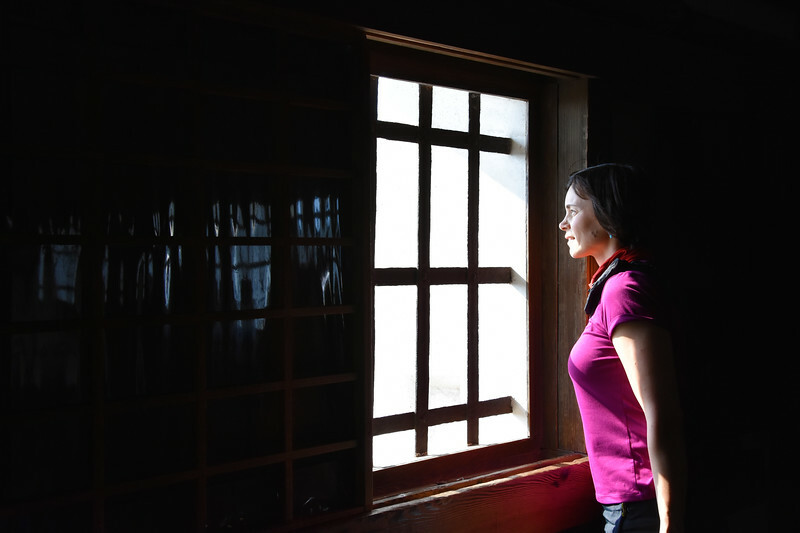 When we first set off from Tokyo, we traveled through the Kansai prefectures to the south, Wakayama and Mie, but the northern prefectures in this region are densely packed with cultural and historical significance, housing the vast cities of Kobe, Osaka and Kyoto. Lots to see and do here! is that it had a church in the parking lot. Huh? 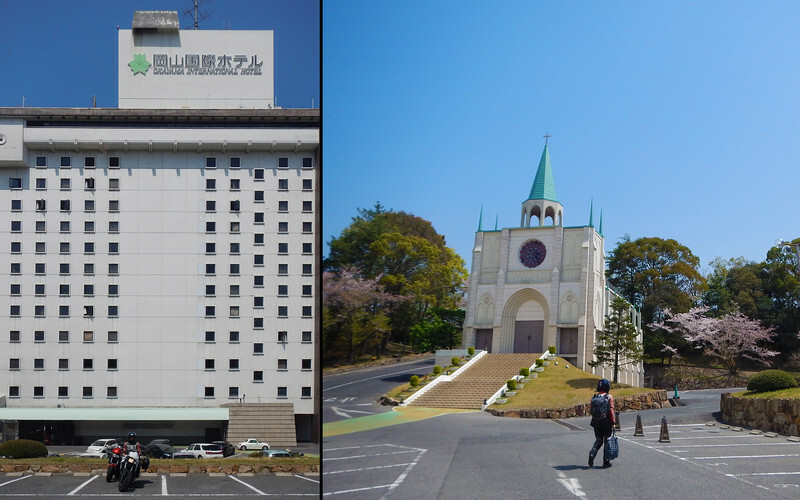 After doing some Googling, it turns out it is a wedding chapel for guests staying at the hotel, which is marketed as a wedding destination. Huh! Anyway, we're already married, so we're continuing east-bound today. It seems like every day is getting warmer and warmer. It's like Japan has a very short spring, like it goes from winter to summer almost overnight. We don't mind, it's perfect riding weather, too bad we're just city-hopping at the moment. 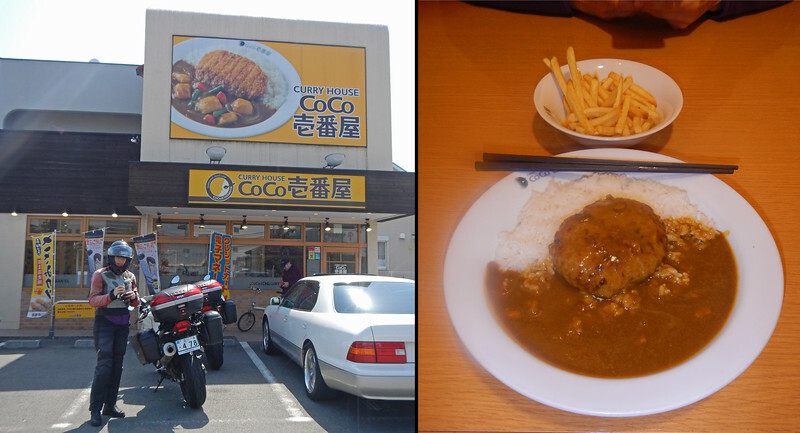 Brunch on the road at our second-favorite Japanese chain: Coco Curryhouse! I feel like we're getting the hang of riding around Japan. We know how to negotiate the roadways, accommodations, the automated gas stations, and we know all the good places to stop along the way for food that we like! We could start a Japan touring business! 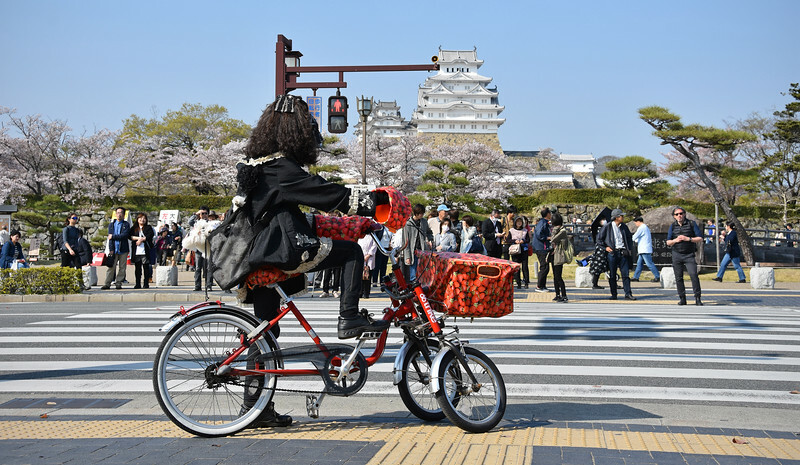 Gai-Gene and Ha-Neda Moto-Tours! We'll just hit every Yoshinoya and CoCo Curryhouse in the country. 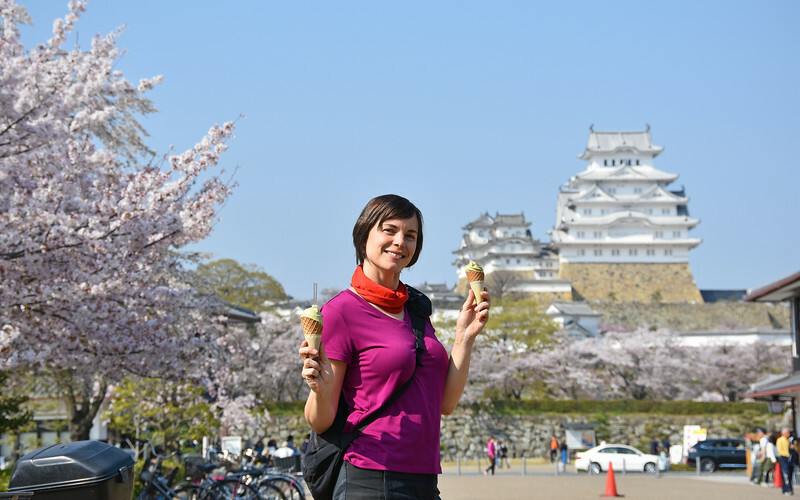 Ha-Neda Tours always begin with a round of matcha ice cream! OMG, the Japanese love matcha! The green tea powder is in everything: matcha latte, matcha mochi (rice cake dessert), matcha ice cream, matcha pocky (candied bread sticks), matcha Kit Kat candy bars... It seems like if there's green matcha colouring on the food you're eating, it's basically a warning: "This food will make you fat!" But they taste sooo good, so we don't care. 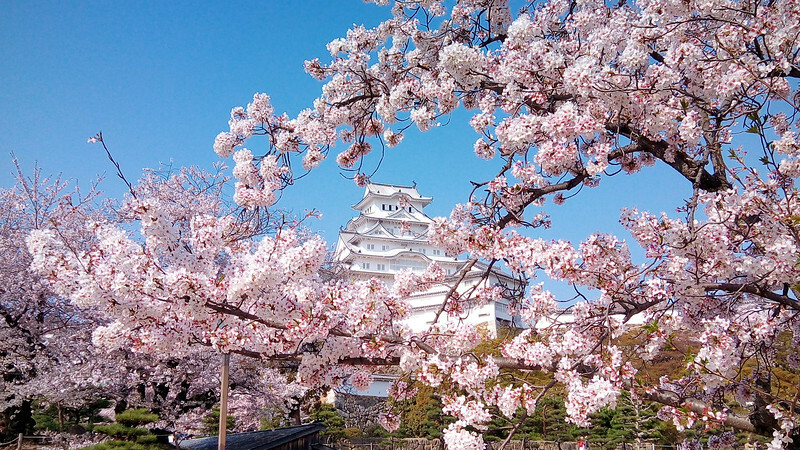 Himeji Castle is perpetually on every 'Top Ten Things To See In Japan' list. So is the Cherry Blossom festival. Killing two birds with one picture! 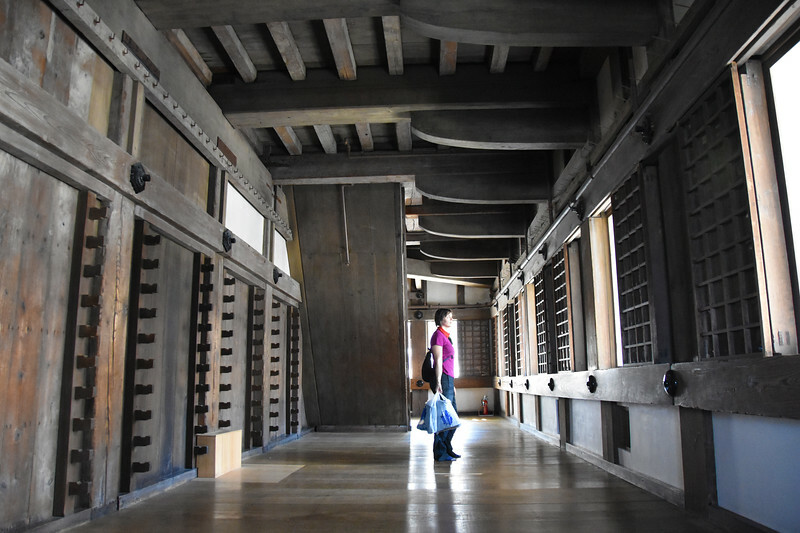 To protect the wooden floors of the castle, all visitors must remove their footwear and walk around in socks or bare feet. Everyone was carrying around their shoes and boots in the plastic bags given out at the entrance. It looked like we were all walking around inside a mall. 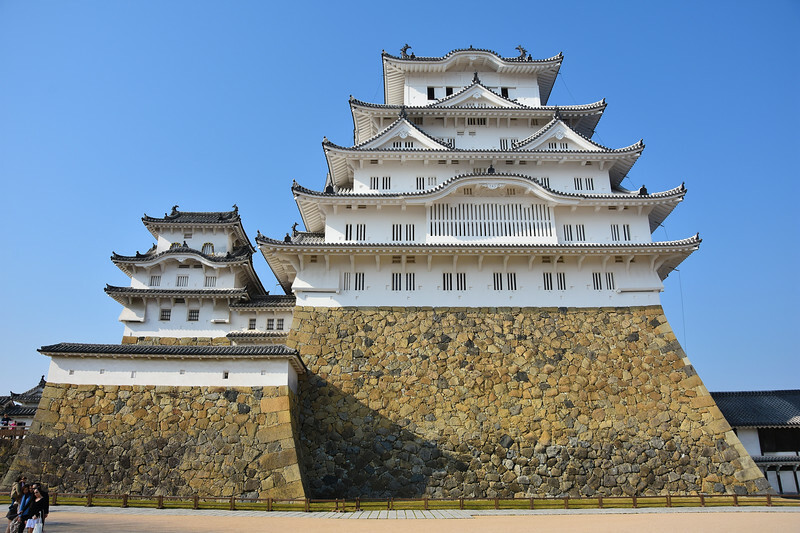 Normally, I'd go to Wikipedia and just cut and paste everything there is to know about Himeji Castle. 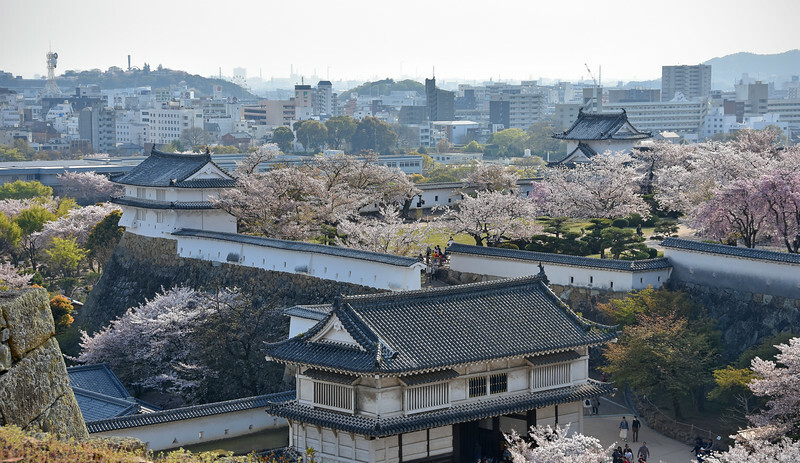 But to tell you the truth, although it's the biggest, grandest castle in Japan, we weren't really feeling Himeji. We climb back on these infernal bikes and ride for about another hour east to Kobe. The traffic gets worse the closer we get to the city's core. Ugh. If you recall, Michael from Nagoya introduced us to the Kansai Riders Facebook Group, and suddenly a whole new world opened up to us. We had places to stay, people to meet! Robin in Kobe offered to host us for a couple of nights as we passed through. 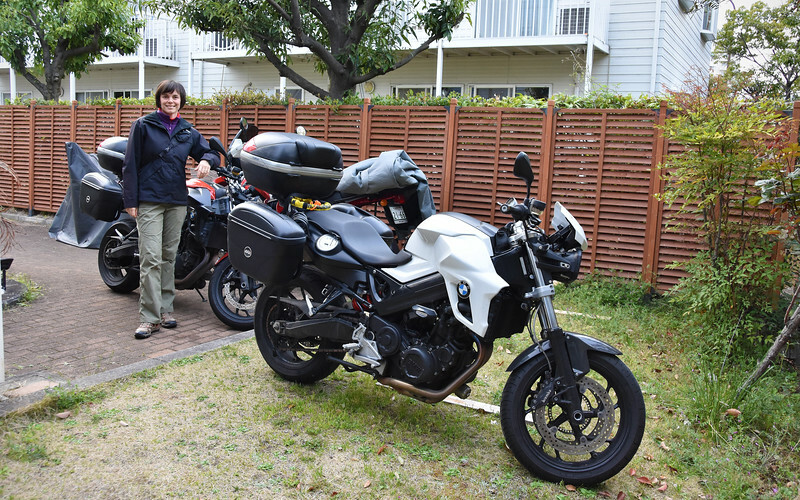 Robin is retired and is an avid motorcycle world traveler. He's ridden pretty much everywhere in the world. We were most interested in his Central Asia ride through Mongolia, Russia and the Stans, as this is a route we want to do eventually. His wife is still working and he's just waiting for her to retire as well so they can travel together. 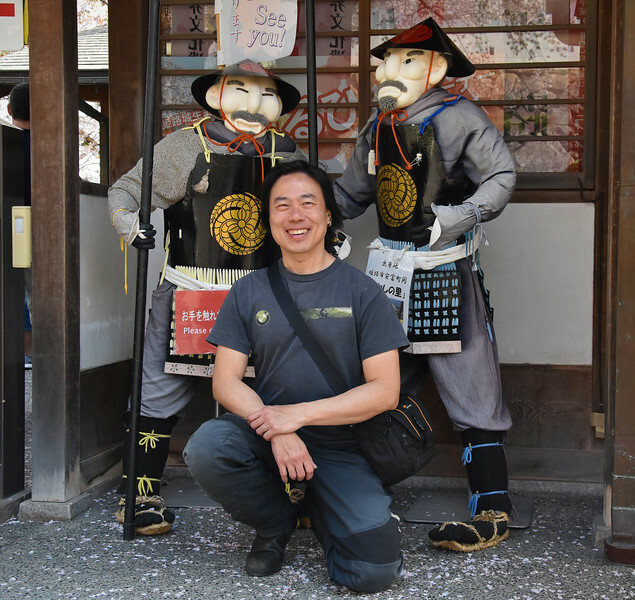 Robin asked about our travels through Japan and we told him about our frustrations with the rental bikes - namely having such a tight, regimented schedule for our ride and not being able to go at our own pace. And how it would have been nice to buy a bike when we arrived, and then sell it when we leave so we could ride as much or as little as we like. But this just isn't possible for tourists. Then he told us that we totally could have bought a bike as foreigners, even with a tourist visa. We just had to know someone local that we could register the bike under. He told us pretty much everyone on the Kansai Riders group, including him, would be happy to help out and register a bike for us the next time we came through. Aha! Yet another reason to come back! 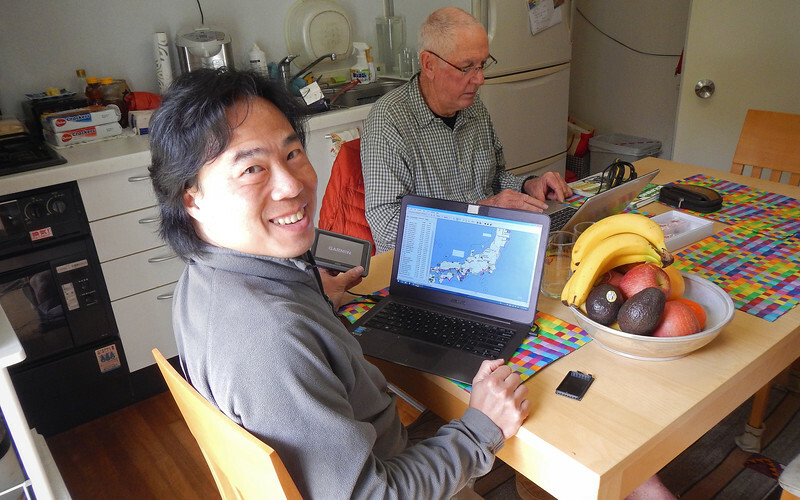 Over breakfast, Robin helps us plan the rest of our route through Japan. I've got my GPS attached, ready to download all the good roads! 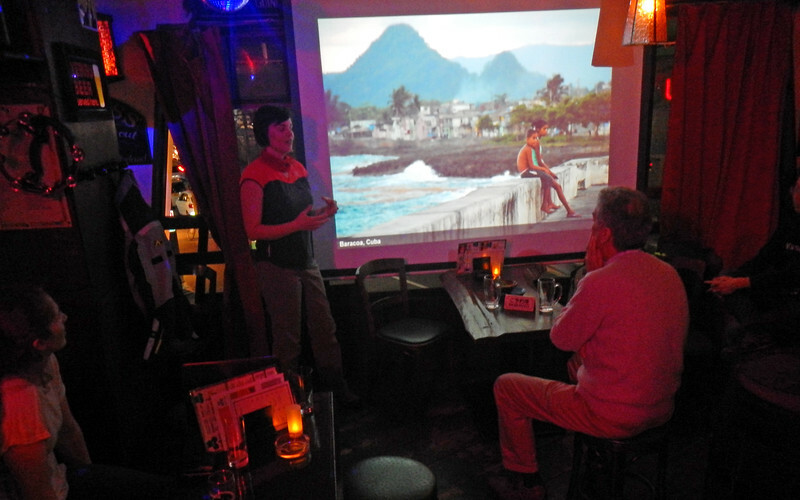 While we were busy traveling all over Japan, Michael, had arranged for us to do a presentation for the Facebook group. All we had to do was tell him when we would be in the area. 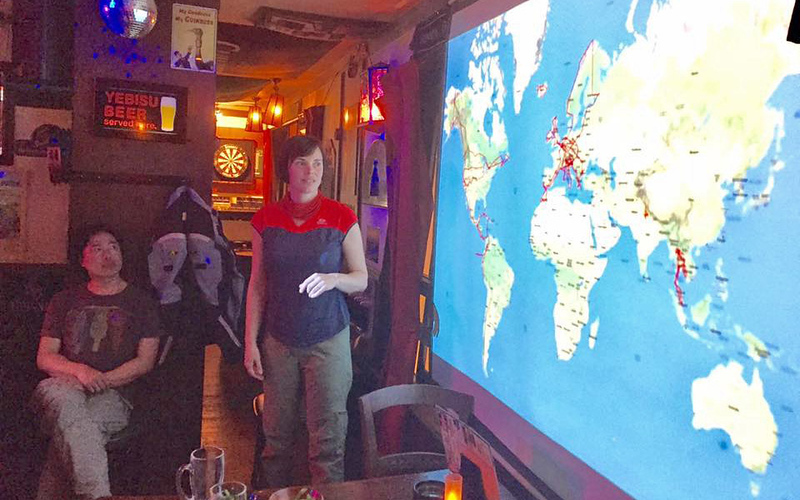 So a time and place was set up - we're going to meet at some Irish pub in Nishinomiya later on this evening. 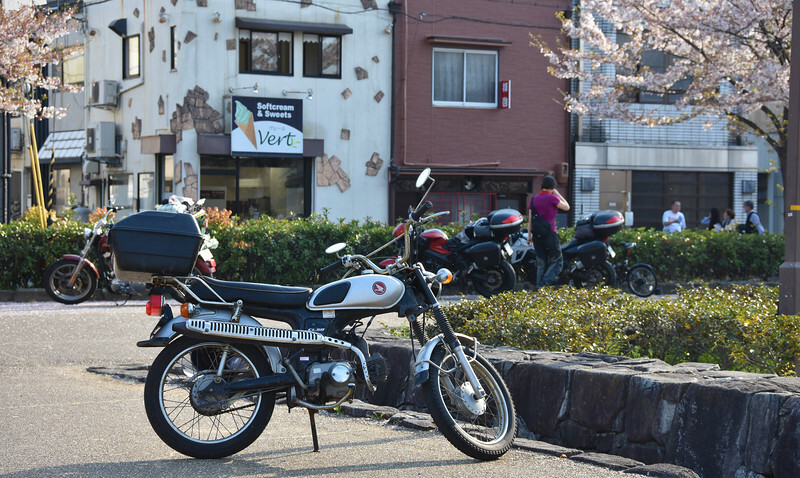 Same place where the Kansai Riders have regular monthly meetups. Inside the Wex, we meet up with some very familiar faces. Of course, Michael came all the way up from Nagoya to see us. And Warren, who hosted us in Wakayama also showed up! It was like we were on an episode of "This Is Your Life" (Japan edition), the cast of characters from our trip around the islands all gathered here in one place! So awesome seeing them again and catching up with them! I always feel like people are going to question us: "So you've been traveling since 2012 and you've only covered that much ground?!?" One time, I calculated our average daily mileage. It was 18 km/day! Any able-bodied person could walk faster than we've ridden. Whenever I look at other RTW overland traveler's maps, they always have such a confident and direct route. There's always that thick red line superimposed over the atlas: it typically goes north to south, then you lift the red pen, put it on another continent. Then the line resumes, going South to North. Then West to East. Minimal breaks in the red line. No doubling back. Then I look at our route... it's like someone dropped a bowl of spaghetti on a map, the noodles leaving a tangled mess of red, saucey entrails all over one of the continents. *shrug* It's called Slow Travel! Stop and explore, live like a local for awhile, then double-back in case you missed something the first time! Hm... is triple-back a real word? It is for us! We talked animatedly with the group after the presentation, about travel and bikes and everything else in between. A couple of them want to take us out riding tomorrow, to show us around the area. I mention that we're actually leaving Kobe tomorrow. "No problem, we'll ride with you out of town and see you off!" A message goes out to the Facebook Group and later on that night, plans solidify. Wow, so easy! Group ride tomorrow. We're very excited!